People know I'm into wine, so you get to hear and see things. Stories about special wines, in a private cellar, or not anymore, − well some stories are better than other stories. Last week I got to see something. In an Amsterdam cellar-less house owned by an art-dealer who used to be friends with the Dutch painter Karel Appel (1921-2006). 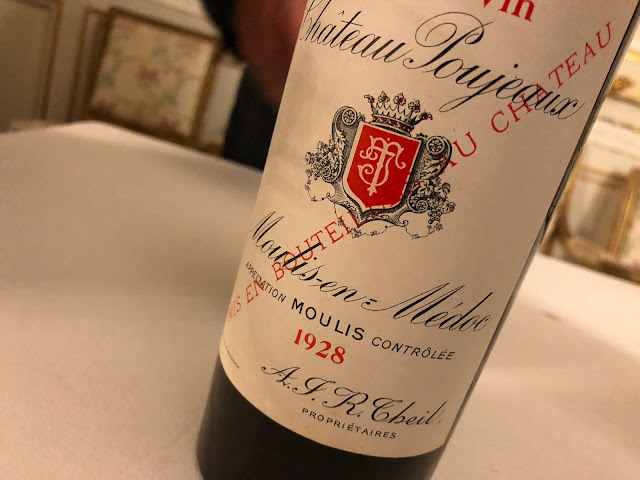 He first showed me a virgin wooden case with 12 bottles Château Mouton Rothschild 1994. Not perfectly stored, but not terribly either. I would say a case to crack now, my guess is that these so-so kept wines should be perfectly drinkable now. Then he presented a double magnum. Beautiful! But... he said there was yet another bottle in the house, an even bigger one, but where was it...? We walked around and he looked in different places. He said he really wanted to show me that monster bottle, as it had Karel Appel's autograph − a true collector's item! Then, in his paper-laden office, he unveiled a wooden case, it was hidden underneath a stack of paperwork. The case was put... against a radiator, and this radiator was... turned on! 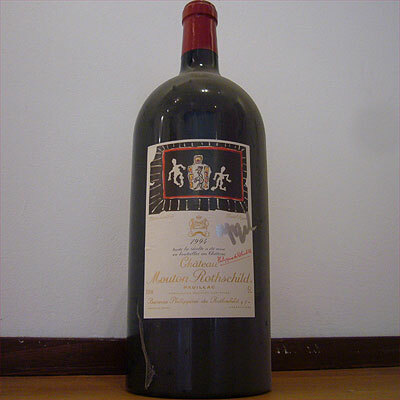 And inside the case, indeed, a giant bottle, signed by Karel Appel. The good news: it had only been there for a short while, he said (and I guess the radiator had been turned off during the summer). And the owner promised me he would change things. First of all he turned off the heater (pff...). But let's hope this bottle will soon move to a better place. 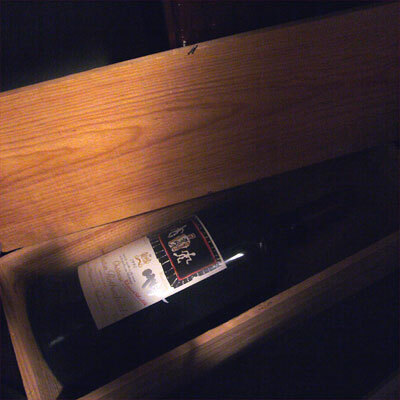 I told him about my bleeding heart, and I hope he really understood that it is not good to keep a wine like this in these... odd circumstances, even when you're not interested in the money that an item like this could raise. Anyway, dear reader, of course I needed to share this crazy discovery with you!